When you have as few friends as private investigator Lennox does, you can’t afford to lose any. When you do, someone has to pay. 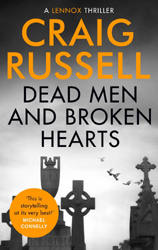 Fast-paced Glasgow noir for fans of Philip Kerr and Raymond Chandler. Quiet Tommy Quaid is one of Lennox’s few friends in Glasgow. Lennox appreciates Tommy’s open, straightforward personality – even if he is a master thief. 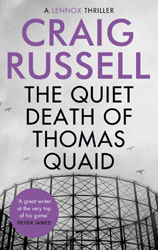 When Tommy is flung to his death from a factory roof in front of Lennox’s eyes, Lennox discovers just how wrong he was about Tommy’s quiet life. It seems Tommy knew a secret, and it cost him his life. But for once, Quiet Tommy didn’t go quietly. His secret concerned people above the law – people in some cases who are the law – and so now, from beyond the grave, he leaves a trail for Lennox to follow to ensure justice is done. For once, Lennox is on the side of the angels. But he is an avenging angel, and in brutal Glasgow, justice has to get bloody. Investigator Lennox just can’t stay out of trouble. 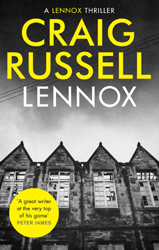 Lennox is looking for legitimate cases – anything’s better than working for the Three Kings, the crime bosses who run Glasgow’s underworld. So when a woman comes into his office and hires him to follow her husband, it seems the perfect case. And, unusually for Lennox, it’s legal. But this isn’t a simple case of marital infidelity. When the people he’s following start to track him, once more Lennox must draw on the violent, war-damaged part of his personality as he follows this trail of dead men and broken hearts. Human remains are recovered from the bottom of the River Clyde. Tests reveal they’ve been there for eighteen years. Glasgow’s underworld is buzzing with the news that the dredged up bones belong to Gentleman Joe Strachan, the city’s most successful and ruthless armed robber. Strachan’s daughters, Isa and Violet, want to hire Lennox to find out who has been sending them large sums of cash each year on the anniversary of Strachan’s most successful robbery. Despite his reservations, Lennox needs the money and takes the job. 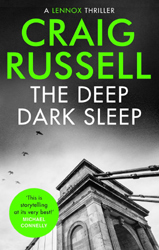 Tough, gritty, and as noir as they come, The Deep Dark Sleep guarantees a sleepless night. 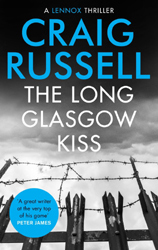 Glasgow in the 1950s – private investigator Lennox is keeping a low profile, enjoying a fling with the daughter of shady bookie and greyhound breeder MacFarlane. When MacFarlane is found bludgeoned to death, Lennox is a suspect. Luckily, he has a solid gold alibi – he was in bed with the victim’s daughter at the time. It turns out MacFarlane was into some seriously dodgy stuff. One of Glasgow’s notorious Three Kings, crime boss Willie Sneddon, is involved and he’s not a man Lennox wants to cross. But there’s an even bigger player out there, an elusive villain who makes the Three Kings look like minnows. Lennox is going to get his fingers burnt, badly. Glasgow, 1953: the war may be over but the battle for the streets is just beginning. Three crime bosses control the murky streets, but a small-scale con is trying to invade their territory. The balance is shifting. Lennox, a hard man in a hard city at a hard time, finds himself caught in the middle – a dangerous place to be. One night, a body is discovered on the road, his head mashed to pulp, and Lennox is in the frame for murder. The only way of proving his innocence is to solve the crime – but he’ll have to dodge men more deadly than Glasgow’s crime bosses before he gets any answers.